Yeah. Today I´ll only play Alliance. It´s time for them to gain some levels. I´ve got three Alliance charaters at the moment. 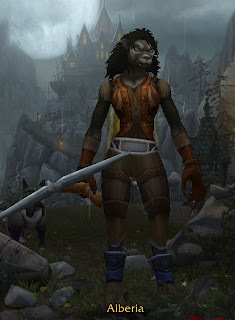 Xithraz the Draenei Paladin, Meldy the Gnome Priest and Alberia the Worgen Hunter. Today I´ll only play with them as they need to gain levels. 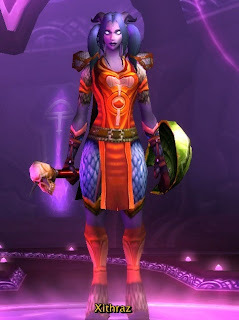 Xithraz is level 25 and has Protection as her spec. Meldy is level 8 and not sure if she will be Disc or Shadow first. And Alberia is only level 5 and will be a Marksman when she can choose specs. If anyone reading this has a Alliance character in one of their levels poke me and perhaps we can do something fun. At the moment I´m going to level Meldy up to lvl 10 and then think about her spec. They can all be found at the Lightbringer server since that was the server a guild friend said was a nice one for Alliance. Well I of to give them some levels. I know. My belf priest didn´t start healing untill she hit 30 and could choose a off spec. So a bit unsure of healing fron lvl 15 to 30. 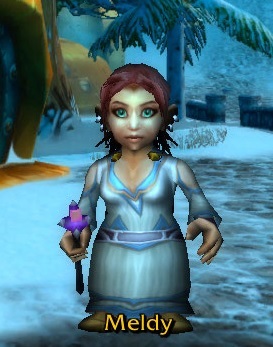 I love the name Meldy and it really suits a cute little Gnomey!